Brand new award-winning construction. 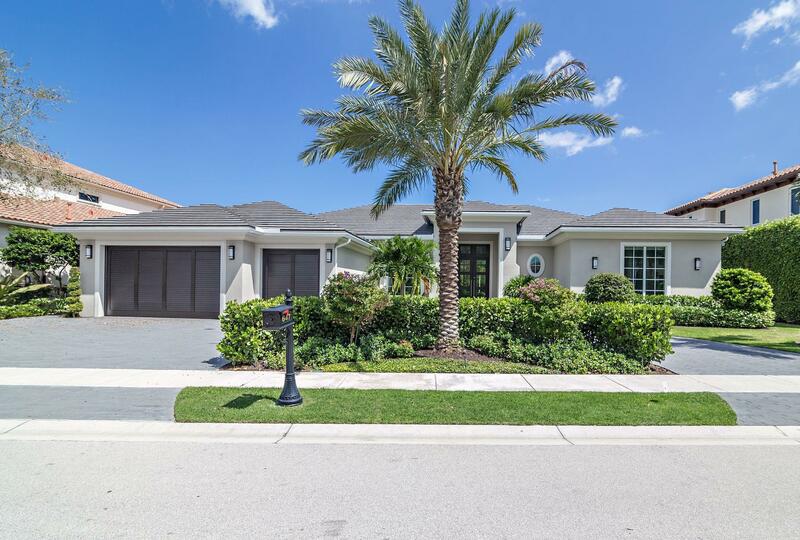 Be the first occupant of this fabulous one level home situated on a private preserve lot located in the prestige gated community of Frenchman's Reserve Golf & Country Club. Transitional Contemporty-Inspired design features a first floor owner's suite w/ shared showers in master baths, executive club room/office w/ barn door entry, formal living room w/ fire place & dining rooms, as well as a modern kitchen & family room. Outdoor living area boasts an extensive covered loggia, resort-style pool, spillover spa, summer kitchen and gorgeous tropical landscaping. Plenty of room with a 3 car garage & a side entry golf cart garage. Can be purchased furnished. Golf membership included.